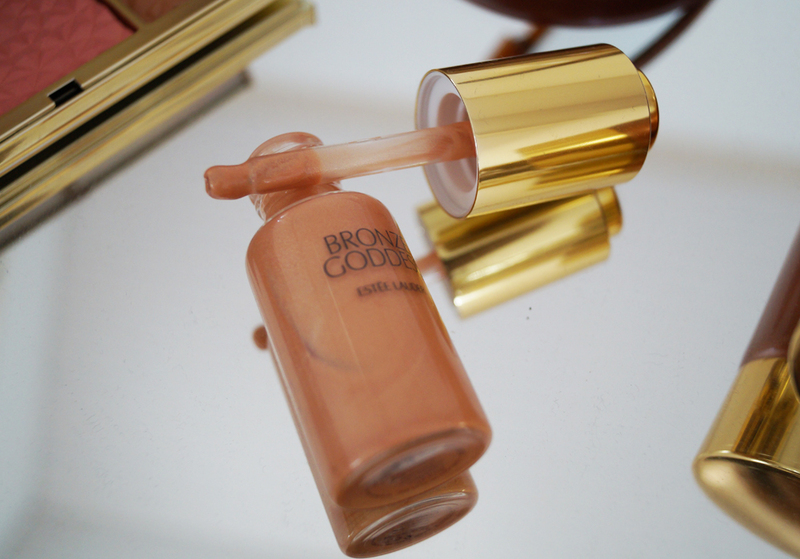 How to be a bronze goddess in the summer? This recipe is delivered by Estée Lauder. I will introduce to you four amazing must-have products you for the hot summer days. I will begin with the Exfoliating Body Cleanser, which is actually a body scrub containing small micro particles that can help you to get rid of dead skin and bring the look of healthy and glowing skin. The peeling is a beautifully fragrant and has a terrifically elegant gold-brown packaging. Like any other peeling, also this one should be applied on wet skin by circular movements. The result is perfect fragrant, smooth and shiny skin. Ako byť v lete bronzovou bohyňou, tak na to má recept Estée Lauder. Dnes vám predstavím štyri must have produkty, ktoré by počas týchto horúcich letných dní nemali chýbať ani jednej z vás. Začnem Exfoliating Body Cleanser-om, čo je vlastne body peeling, obsahujúci malé mikro čiastočky, ktoré vám pomôžu zbaviť sa odumretej kože a priniesť vzhľad zdravej a žiariacej pokožky. Peeling je krásne voňavý a má aj nesmierne elegantné zlatohnedé balenie. Ako každý iný peeling, aj tento sa aplikuje na mokrú pokožku krúživými pohybmi dlane. Výsledok je voňavá, hladká a lesklá pokožka. 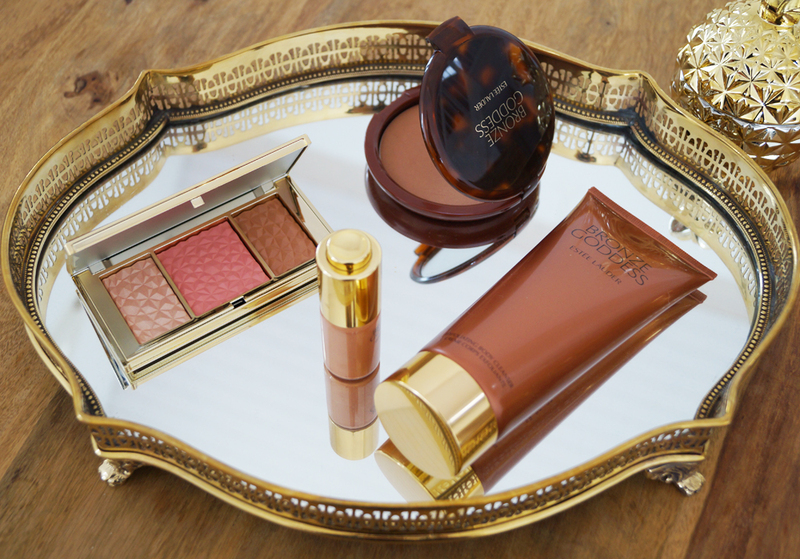 Do not make one single move during the summer without a bronzer. Why? Because it is a efficient way to create a perfect summer tan - on the face, arms or in decollete, just with a few moves with a brush. 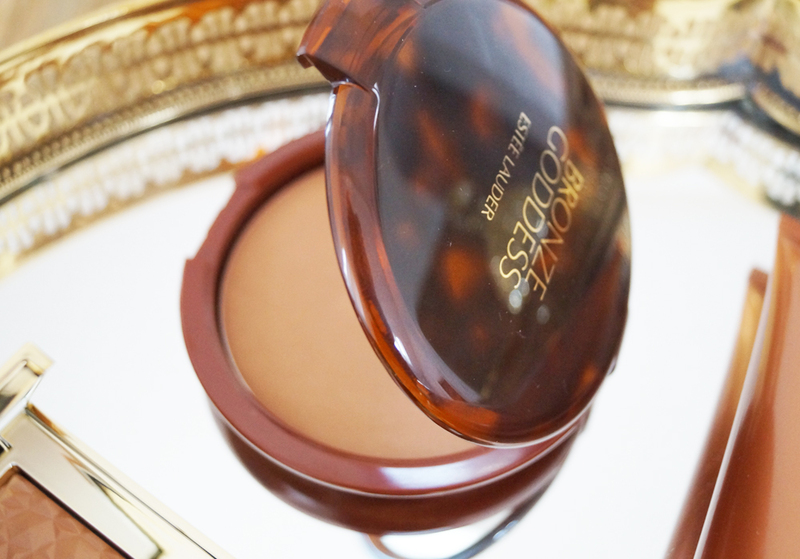 A Bronzer from the Bronze Goddess collection comes in the form of a compact powder (21 g). The packaging is brown with golden letters and includes a mirror as well as a small brush. The powder on the picture is in shade 01 Light. Bez bronzeru v lete ani na krok. Prečo? Pretože ním vykúzlite perfektné letné opálenie, či na tvári, ramenách alebo v dekolte. Stačí len pár ťahov štetcom. 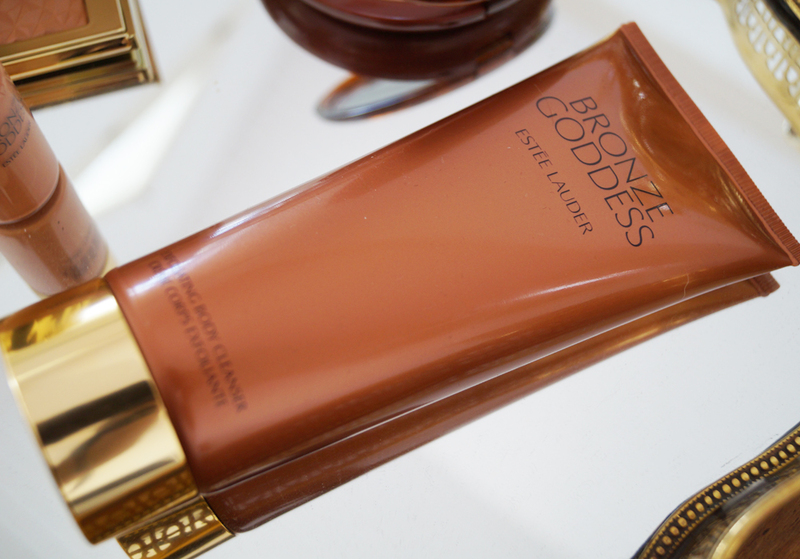 Bronzer z kolekcie Bronze Goddess má podobu vačšieho kompaktného púdru (21g). Balenie je hnedé so zlatým písmom a obsahuje zrkadielko a malý štetec. Púder, ktorý vidíte na obrázku je v odtieni 01 Light. The absolut megahit of this year is a contouring kit - Summer Glow Multi Palette. It is a tricolored powdery, perfect for contouring and highlighting your face. This set 3in1 from the Bronze Goddess collection imppressed me the most and I am very happy to have it. It has a beautiful gold packaging, which includes a mirror. On the packaging is written in golden letters the logo of Estée Lauder. Najväčší tohtoročný megahit je kontúrovací set – Summer Glow Multi Palette. Je to pudrová trikolóra a perfektne ňou vytieňujete tvár, rozjasníte T zónu a zafarbíte líčka. Tento set 3in1 ma z Bronze Goddess kolekcie zaujal najviac a som veľmi šťastná, že ho mám. Má krásne zlaté balenie, ktorého súčasťou je zrkadielko. Na obale je zlatým písmom napísané Estée Lauder. The last product that I've got to try and which has exceedingly surprised me is the Summer Glow Illuminator. What is it actually the illuminator. It is a shiny brightener for the face and body. The packaging contains only 15 ml, what means that it should be applied only on certain spots on the face, decollete and the shoulders. It brightens beautifully the tanned skin. The packaging in the form of a bottle including a pump is very practical and stylish. Personally, I also adore the gold details. Unbelievable great product for summer. Posledný produkt, ktorý som dostala na vyskúšanie a ktorý ma náramne prekvapil a zaujal je Summer Glow Illuminator. Čo že to ten Illuminator vlastne je. Je to žiarivý rozjasňovač na telo a tvár. Balenie obsahuje len 15 ml, čo znamená, že sa nanáša pomenej a len na určité miesta na tvári, do dekoltu a na ramená. Krásne rozžiari opálenú pokožku. Balenie vo forme fľaštičky s pumpičkou je veľmi praktické a navyše krásne na pohľad, keďže je zdobené zlatými detailami, rovnako ako celá kolekcia Bronze Goddess. Which one of these products interested you the most? 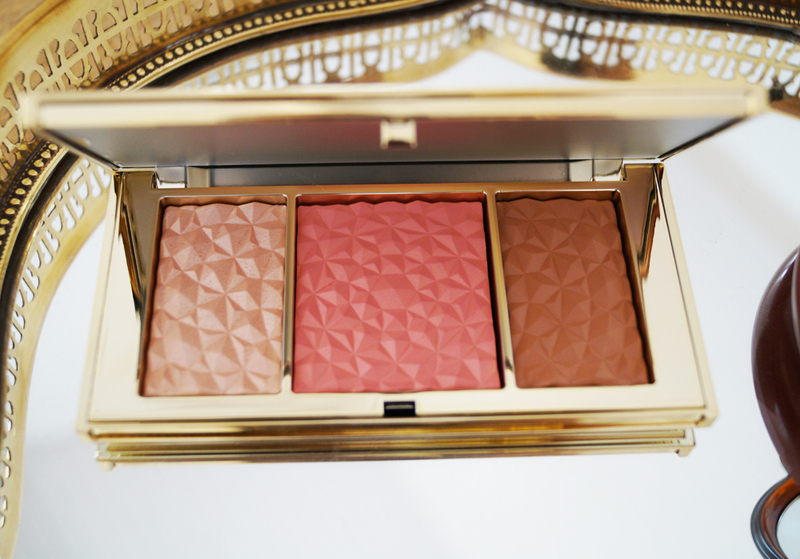 All three seem great products but the Summer Glow Multi Palette is a marvel 3 in 1. Thanks for the introduction dear. Let's be pretty and shiny this summer! I love this Products for summer!! very pretty !! The Summer Glow Multi Palette is so beautiful and gourgeous. Estée Lauder produts are amazing. they have such amazing products. these colors are amazing. Summer Glow Multi Palette looks great! These are such fantastic products!! Sounds like something I would really love to try. I really want to try the Summer Glow Multi Palette & the Illuminator! fantastic! !I don't own any Estee Lauder product! I love this Products for summer!! oh wow! the packaging is royal! What a beautiful collection for Summer! ♥ My pale skin could really use some bronze! Great products! I have been using similar ones for the last couple of years and love the effect! Ta sada na konturování vypadá moc dobře!! Everything looks so damn good! I love your beauty tips. Keep up the good work!! I also love the giveaways!! Wow! That Summer Glow palette is gorgeous! I am adding it to my ever growing list of beauty products that I want! Summer Glow Illuminator looks very interesting to me, I love products of that type. Loving the Summer Glow Multi Palette!